Liczba stron: 1383 Jest to ujednolicona liczba stron, która ułatwi Ci porównanie długości książek. Każda strona Legimi to 200 słów. “Yes, yes, how was it now?” he thought, going over his dream. “Now, how was it? To be sure! Alabin was giving a dinner at Darmstadt; no, not Darmstadt, but something American. Yes, but then, Darmstadt was in America. Yes, Alabin was giving a dinner on glass tables, and the tables sang, Il mio tesoro—not Il mio tesoro though, but something better, and there were some sort of little decanters on the table, and they were women, too,” he remembered. Stepan Arkadyevitch’s eyes twinkled gaily, and he pondered with a smile. “Yes, it was nice, very nice. There was a great deal more that was delightful, only there’s no putting it into words, or even expressing it in one’s thoughts awake.” And noticing a gleam of light peeping in beside one of the serge curtains, he cheerfully dropped his feet over the edge of the sofa, and felt about with them for his slippers, a present on his last birthday, worked for him by his wife on gold-colored morocco. And, as he had done every day for the last nine years, he stretched out his hand, without getting up, towards the place where his dressing-gown always hung in his bedroom. And thereupon he suddenly remembered that he was not sleeping in his wife’s room, but in his study, and why: the smile vanished from his face, he knitted his brows. “Ah, ah, ah! Oo!...” he muttered, recalling everything that had happened. And again every detail of his quarrel with his wife was present to his imagination, all the hopelessness of his position, and worst of all, his own fault. “Yes, she won’t forgive me, and she can’t forgive me. And the most awful thing about it is that it’s all my fault—all my fault, though I’m not to blame. That’s the point of the whole situation,” he reflected. “Oh, oh, oh!” he kept repeating in despair, as he remembered the acutely painful sensations caused him by this quarrel. “It’s that idiotic smile that’s to blame for it all,” thought Stepan Arkadyevitch. “But what’s to be done? What’s to be done?” he said to himself in despair, and found no answer. “Then we shall see,” Stepan Arkadyevitch said to himself, and getting up he put on a gray dressing-gown lined with blue silk, tied the tassels in a knot, and, drawing a deep breath of air into his broad, bare chest, he walked to the window with his usual confident step, turning out his feet that carried his full frame so easily. He pulled up the blind and rang the bell loudly. It was at once answered by the appearance of an old friend, his valet, Matvey, carrying his clothes, his boots, and a telegram. Matvey was followed by the barber with all the necessaries for shaving. “Are there any papers from the office?” asked Stepan Arkadyevitch, taking the telegram and seating himself at the looking-glass. “I told them to come on Sunday, and till then not to trouble you or themselves for nothing,” he said. He had obviously prepared the sentence beforehand. “Matvey, my sister Anna Arkadyevna will be here tomorrow,” he said, checking for a minute the sleek, plump hand of the barber, cutting a pink path through his long, curly whiskers. “Thank God!” said Matvey, showing by this response that he, like his master, realized the significance of this arrival—that is, that Anna Arkadyevna, the sister he was so fond of, might bring about a reconciliation between husband and wife. “Alone, or with her husband?” inquired Matvey. “Darya Alexandrovna?” Matvey repeated, as though in doubt. “Darya Alexandrovna told me to inform you that she is going away. Let him do—that is you—do as he likes,” he said, laughing only with his eyes, and putting his hands in his pockets, he watched his master with his head on one side. Stepan Arkadyevitch was silent a minute. Then a good-humored and rather pitiful smile showed itself on his handsome face. “Eh, Matvey?” he said, shaking his head. “It’s all right, sir; she will come round,” said Matvey. “Do you think so? Who’s there?” asked Stepan Arkadyevitch, hearing the rustle of a woman’s dress at the door. “It’s I,” said a firm, pleasant, woman’s voice, and the stern, pockmarked face of Matrona Philimonovna, the nurse, was thrust in at the doorway. “Well, what is it, Matrona?” queried Stepan Arkadyevitch, going up to her at the door. “Well, what now?” he asked disconsolately. “Come, that’ll do, you can go,” said Stepan Arkadyevitch, blushing suddenly. “Well now, do dress me.” He turned to Matvey and threw off his dressing-gown decisively. Stepan Arkadyevitch had not chosen his political opinions or his views; these political opinions and views had come to him of themselves, just as he did not choose the shapes of his hat and coat, but simply took those that were being worn. And for him, living in a certain society—owing to the need, ordinarily developed at years of discretion, for some degree of mental activity—to have views was just as indispensable as to have a hat. If there was a reason for his preferring liberal to conservative views, which were held also by many of his circle, it arose not from his considering liberalism more rational, but from its being in closer accordance with his manner of life. The liberal party said that in Russia everything is wrong, and certainly Stepan Arkadyevitch had many debts and was decidedly short of money. The liberal party said that marriage is an institution quite out of date, and that it needs reconstruction; and family life certainly afforded Stepan Arkadyevitch little gratification, and forced him into lying and hypocrisy, which was so repulsive to his nature. The liberal party said, or rather allowed it to be understood, that religion is only a curb to keep in check the barbarous classes of the people; and Stepan Arkadyevitch could not get through even a short service without his legs aching from standing up, and could never make out what was the object of all the terrible and high-flown language about another world when life might be so very amusing in this world. And with all this, Stepan Arkadyevitch, who liked a joke, was fond of puzzling a plain man by saying that if he prided himself on his origin, he ought not to stop at Rurik and disown the first founder of his family—the monkey. And so Liberalism had become a habit of Stepan Arkadyevitch’s, and he liked his newspaper, as he did his cigar after dinner, for the slight fog it diffused in his brain. He read the leading article, in which it was maintained that it was quite senseless in our day to raise an outcry that radicalism was threatening to swallow up all conservative elements, and that the government ought to take measures to crush the revolutionary hydra; that, on the contrary, “in our opinion the danger lies not in that fantastic revolutionary hydra, but in the obstinacy of traditionalism clogging progress,” etc., etc. He read another article, too, a financial one, which alluded to Bentham and Mill, and dropped some innuendoes reflecting on the ministry. With his characteristic quickwittedness he caught the drift of each innuendo, divined whence it came, at whom and on what ground it was aimed, and that afforded him, as it always did, a certain satisfaction. But today that satisfaction was embittered by Matrona Philimonovna’s advice and the unsatisfactory state of the household. He read, too, that Count Beist was rumored to have left for Wiesbaden, and that one need have no more gray hair, and of the sale of a light carriage, and of a young person seeking a situation; but these items of information did not give him, as usual, a quiet, ironical gratification. Having finished the paper, a second cup of coffee and a roll and butter, he got up, shaking the crumbs of the roll off his waistcoat; and, squaring his broad chest, he smiled joyously: not because there was anything particularly agreeable in his mind—the joyous smile was evoked by a good digestion. “Everything’s in confusion,” thought Stepan Arkadyevitch; “there are the children running about by themselves.” And going to the door, he called them. They threw down the box, that represented a train, and came in to their father. “How is mamma?” he asked, passing his hand over his daughter’s smooth, soft little neck. “Good morning,” he said, smiling to the boy, who had come up to greet him. He was conscious that he loved the boy less, and always tried to be fair; but the boy felt it, and did not respond with a smile to his father’s chilly smile. “Mamma? She is up,” answered the girl. Stepan Arkadyevitch sighed. “That means that she’s not slept again all night,” he thought. “Well, go, Tanya, my darling. Oh, wait a minute, though,” he said, still holding her and stroking her soft little hand. “For Grisha?” said the little girl, pointing to the chocolate. “Yes, yes.” And still stroking her little shoulder, he kissed her on the roots of her hair and neck, and let her go. “Been here long?” asked Stepan Arkadyevitch. “One must let you drink your coffee in peace, at least,” said Matvey, in the affectionately gruff tone with which it was impossible to be angry. “Well, show the person up at once,” said Oblonsky, frowning with vexation. “Ah, yes!” He bowed his head, and his handsome face assumed a harassed expression. “To go, or not to go!” he said to himself; and an inner voice told him he must not go, that nothing could come of it but falsity; that to amend, to set right their relations was impossible, because it was impossible to make her attractive again and able to inspire love, or to make him an old man, not susceptible to love. Except deceit and lying nothing could come of it now; and deceit and lying were opposed to his nature. “It must be some time, though: it can’t go on like this,” he said, trying to give himself courage. He squared his chest, took out a cigarette, took two whiffs at it, flung it into a mother-of-pearl ashtray, and with rapid steps walked through the drawing room, and opened the other door into his wife’s bedroom. DARYA ALEXANDROVNA, IN A DRESSING jacket, and with her now scanty, once luxuriant and beautiful hair fastened up with hairpins on the nape of her neck, with a sunken, thin face and large, startled eyes, which looked prominent from the thinness of her face, was standing among a litter of all sorts of things scattered all over the room, before an open bureau, from which she was taking something. Hearing her husband’s steps, she stopped, looking towards the door, and trying assiduously to give her features a severe and contemptuous expression. She felt she was afraid of him, and afraid of the coming interview. She was just attempting to do what she had attempted to do ten times already in these last three days—to sort out the children’s things and her own, so as to take them to her mother’s—and again she could not bring herself to do this; but now again, as each time before, she kept saying to herself, “that things cannot go on like this, that she must take some step” to punish him, put him to shame, avenge on him some little part at least of the suffering he had caused her. She still continued to tell herself that she should leave him, but she was conscious that this was impossible; it was impossible because she could not get out of the habit of regarding him as her husband and loving him. Besides this, she realized that if even here in her own house she could hardly manage to look after her five children properly, they would be still worse off where she was going with them all. As it was, even in the course of these three days, the youngest was unwell from being given unwholesome soup, and the others had almost gone without their dinner the day before. She was conscious that it was impossible to go away; but, cheating herself, she went on all the same sorting out her things and pretending she was going. “Dolly!” he said in a subdued and timid voice. He bent his head towards his shoulder and tried to look pitiful and humble, but for all that he was radiant with freshness and health. In a rapid glance she scanned his figure that beamed with health and freshness. “Yes, he is happy and content!” she thought; “while I.... And that disgusting good nature, which every one likes him for and praises—I hate that good nature of his,” she thought. Her mouth stiffened, the muscles of the cheek contracted on the right side of her pale, nervous face. “What do you want?” she said in a rapid, deep, unnatural voice. “Well, what is that to me? I can’t see her!” she cried. “Go away, go away, go away!” she shrieked, not looking at him, as though this shriek were called up by physical pain. “My God! what have I done? Dolly! For God’s sake!.... You know....” He could not go on; there was a sob in his throat. “—instant of passion?” he said, and would have gone on, but at that word, as at a pang of physical pain, her lips stiffened again, and again the muscles of her right cheek worked. “You remember the children, Stiva, to play with them; but I remember them, and know that this means their ruin,” she said—obviously one of the phrases she had more than once repeated to herself in the course of the last few days. She had called him “Stiva,” and he glanced at her with gratitude, and moved to take her hand, but she drew back from him with aversion. “But what could I do? what could I do?” he kept saying in a pitiful voice, not knowing what he was saying, as his head sank lower and lower. “You are loathsome to me, repulsive!” she shrieked, getting more and more heated. “Your tears mean nothing! You have never loved me; you have neither heart nor honorable feeling! You are hateful to me, disgusting, a stranger—yes, a complete stranger!” With pain and wrath she uttered the word so terrible to herself—stranger. He looked at her, and the fury expressed in her face alarmed and amazed him. He did not understand how his pity for her exasperated her. She saw in him sympathy for her, but not love. “No, she hates me. She will not forgive me,” he thought. “It is awful! awful!” he said. “Dolly, one word more,” he said, following her. Stepan Arkadyevitch sighed, wiped his face, and with a subdued tread walked out of the room. “Matvey says she will come round; but how? I don’t see the least chance of it. Ah, oh, how horrible it is! And how vulgarly she shouted,” he said to himself, remembering her shriek and the words—"scoundrel” and “mistress.” “And very likely the maids were listening! Horribly vulgar! horrible!” Stepan Arkadyevitch stood a few seconds alone, wiped his face, squared his chest, and walked out of the room. “Matvey!” he shouted. 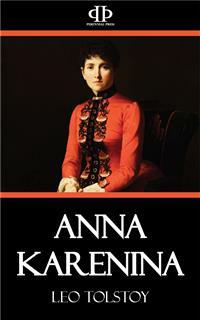 “Arrange everything with Darya in the sitting room for Anna Arkadyevna,” he said to Matvey when he came in. “You won’t dine at home?” said Matvey, seeing him off. “Enough or not enough, we must make it do,” said Matvey, slamming the carriage door and stepping back onto the steps. “Ah, let me alone, let me alone!” she said, and going back to her bedroom she sat down in the same place as she had sat when talking to her husband, clasping tightly her thin hands with the rings that slipped down on her bony fingers, and fell to going over in her memory all the conversation. “He has gone! But has he broken it off with her?” she thought. “Can it be he sees her? Why didn’t I ask him! No, no, reconciliation is impossible. Even if we remain in the same house, we are strangers—strangers forever!” She repeated again with special significance the word so dreadful to her. “And how I loved him! my God, how I loved him!.... How I loved him! And now don’t I love him? Don’t I love him more than before? The most horrible thing is,” she began, but did not finish her thought, because Matrona Philimonovna put her head in at the door. Stepan Arkadyevitch was not merely liked by all who knew him for his good humor, but for his bright disposition, and his unquestionable honesty. In him, in his handsome, radiant figure, his sparkling eyes, black hair and eyebrows, and the white and red of his face, there was something which produced a physical effect of kindliness and good humor on the people who met him. “Aha! Stiva! Oblonsky! Here he is!” was almost always said with a smile of delight on meeting him. Even though it happened at times that after a conversation with him it seemed that nothing particularly delightful had happened, the next day, and the next, every one was just as delighted at meeting him again. “If they knew,” he thought, bending his head with a significant air as he listened to the report, “what a guilty little boy their president was half an hour ago.” And his eyes were laughing during the reading of the report. Till two o’clock the sitting would go on without a break, and at two o’clock there would be an interval and luncheon. “We shall have time to finish after lunch,” said Stepan Arkadyevitch. “To be sure we shall!” said Nikitin. “A pretty sharp fellow this Fomin must be,” said Grinevitch of one of the persons taking part in the case they were examining. “Who was that came in?” he asked the doorkeeper. “Maybe he’s gone into the passage, but here he comes anyway. That is he,” said the doorkeeper, pointing to a strongly built, broad-shouldered man with a curly beard, who, without taking off his sheepskin cap, was running lightly and rapidly up the worn steps of the stone staircase. One of the members going down—a lean official with a portfolio—stood out of his way and looked disapprovingly at the legs of the stranger, then glanced inquiringly at Oblonsky. “I have just come, and very much wanted to see you,” said Levin, looking shyly and at the same time angrily and uneasily around. “Well, let’s go into my room,” said Stepan Arkadyevitch, who knew his friend’s sensitive and irritable shyness, and, taking his arm, he drew him along, as though guiding him through dangers. “I have the honor of knowing your brother, Sergey Ivanovitch,” said Grinevitch, holding out his slender hand with its long nails. “No, I am no longer a district councilor. I have quarreled with them all, and don’t go to the meetings any more,” he said, turning to Oblonsky. “It’s a long story. I will tell you some time,” said Levin, but he began telling him at once. “Well, to put it shortly, I was convinced that nothing was really done by the district councils, or ever could be,” he began, as though some one had just insulted him. “On one side it’s a plaything; they play at being a parliament, and I’m neither young enough nor old enough to find amusement in playthings; and on the other side” (he stammered) “it’s a means for the coterie of the district to make money. Formerly they had wardships, courts of justice, now they have the district council—not in the form of bribes, but in the form of unearned salary,” he said, as hotly as though someone of those present had opposed his opinion. “Yes, later. But I wanted to see you,” said Levin, looking with hatred at Grinevitch’s hand. “Oh, where shall we meet? You know I want very much to talk to you,” said Levin. “What are the Shtcherbatskys doing? Everything as it used to be?” he said. “I don’t understand it, I don’t understand it,” he said. “What don’t you understand?” said Oblonsky, smiling as brightly as ever, and picking up a cigarette. He expected some queer outburst from Levin. “On paper. But, there, you’ve a gift for it,” added Levin. “Perhaps so,” said Levin. “But all the same I admire your grandeur, and am proud that I’ve a friend in such a great person. You’ve not answered my question, though,” he went on, with a desperate effort looking Oblonsky straight in the face. “Oh, why so?” Levin queried, panic-stricken. “Oh, we’ll talk about that, too, later on,” said Levin, reddening again up to his ears. “Now mind, you’ll forget, I know you, or rush off home to the country!” Stepan Arkadyevitch called out laughing. And Levin went out of the room, only when he was in the doorway remembering that he had forgotten to take leave of Oblonsky’s colleagues. “That gentleman must be a man of great energy,” said Grinevitch, when Levin had gone away. “Ah, yes, I’m in a poor way, a bad way,” said Stepan Arkadyevitch with a heavy sigh. WHEN OBLONSKY ASKED LEVIN WHAT had brought him to town, Levin blushed, and was furious with himself for blushing, because he could not answer, “I have come to make your sister-in-law an offer,” though that was precisely what he had come for. The families of the Levins and the Shtcherbatskys were old, noble Moscow families, and had always been on intimate and friendly terms. This intimacy had grown still closer during Levin’s student days. He had both prepared for the university with the young Prince Shtcherbatsky, the brother of Kitty and Dolly, and had entered at the same time with him. In those days Levin used often to be in the Shtcherbatskys’ house, and he was in love with the Shtcherbatsky household. Strange as it may appear, it was with the household, the family, that Konstantin Levin was in love, especially with the feminine half of the household. Levin did not remember his own mother, and his only sister was older than he was, so that it was in the Shtcherbatskys’ house that he saw for the first time that inner life of an old, noble, cultivated, and honorable family of which he had been deprived by the death of his father and mother. All the members of that family, especially the feminine half, were pictured by him, as it were, wrapped about with a mysterious poetical veil, and he not only perceived no defects whatever in them, but under the poetical veil that shrouded them he assumed the existence of the loftiest sentiments and every possible perfection. Why it was the three young ladies had one day to speak French, and the next English; why it was that at certain hours they played by turns on the piano, the sounds of which were audible in their brother’s room above, where the students used to work; why they were visited by those professors of French literature, of music, of drawing, of dancing; why at certain hours all the three young ladies, with Mademoiselle Linon, drove in the coach to the Tversky boulevard, dressed in their satin cloaks, Dolly in a long one, Natalia in a half-long one, and Kitty in one so short that her shapely legs in tightly-drawn red stockings were visible to all beholders; why it was they had to walk about the Tversky boulevard escorted by a footman with a gold cockade in his hat—all this and much more that was done in their mysterious world he did not understand, but he was sure that everything that was done there was very good, and he was in love precisely with the mystery of the proceedings.